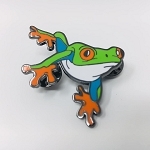 A beautiful and active frog with a loud, chirping call that is not in enough US collections. 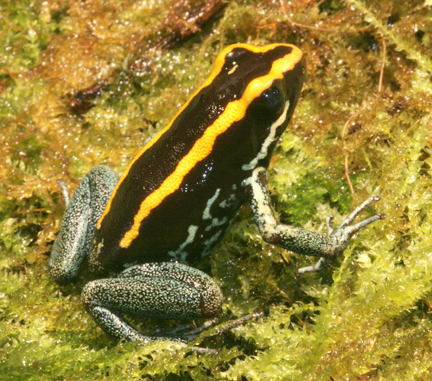 A bright copper band is overlaid on a black body with blueish reticulated green legs. 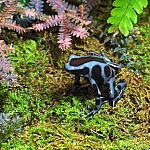 This is an excellent frog for beginners or advanced keepers alike. Ideal for keeping in groups!